Positron’s FlexStream AK5NTE Remote Network Termination Equipment is an environmentally hardened self-contained AK525RU. The AK525RU Compact Remote Unit enables the point-to-point transport of high-quality, high bandwidth Carrier Ethernet services over bonded copper pairs. The AK525RU provides 50 Mbps of symmetrical bandwidth capable of delivering carrier-grade services out to 12 Kft/3.7 Km and beyond. The hardened unit can be line powered over the same data pairs without any impact on the performance of the overall system. The AK5NTE self-contained standalone unit eliminates the need for expensive cabinet enclosures, heat exchangers and site construction, which account for a large portion of the total cost of deployment. The AK5NTE can be deployed in indoor or outside plants. 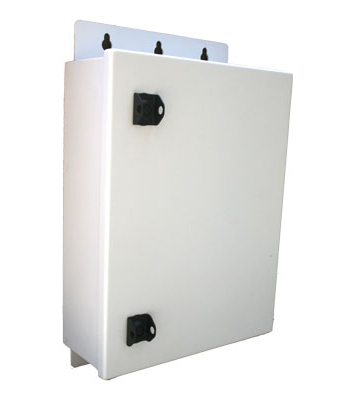 Unlike the competing solutions requiring different enclosures to suit the environment, the AK5NTE is built on a light weight weather proof environmentally hardened enclosure, making it easier for the field professional to install on a pole or wall mount. With the line power feed, the AK5NTE can be deployed in any field cabinet or remote location without requiring a local power source.